Slinky boxing game Arms got a sleek user interface makeover. Slinky boxing game Arms got a sleek user interface makeover. Its new dashboard makes it easy to find players’ worldwide, regional and Party Crash rankings. 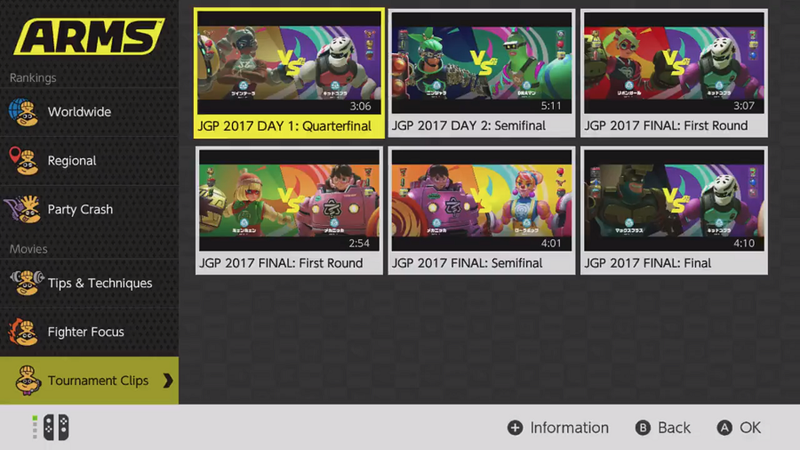 Tips, tutorials and tournament clips also feature on the dashboard, so it’ll be handier for Arms players to get a grip.